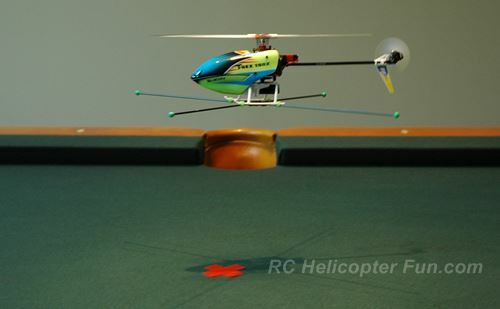 RC helicopter training gear is one of the best training and learning aids you can get when starting out in this hobby. 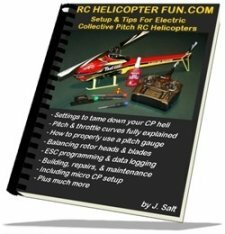 There is not a single training aid that you can purchase, or better yet build, when you are learning to fly an RC heli that costs so little, yet saves so much. Some people new to the hobby feel training gear is a waste of money and don't bother getting or building any only to find out after they crash, just how important they are. Training gear do much more than just offer "tip over protection", they help increase visual presence. With today's smaller and micro sized RC helicopters that can be very hard to see and detect small amount of movements, the increased visual benefit from training gear is even more important than tip over protection. In short, they will allow you to react sooner, which helps you avoid over-correction of the controls; something all beginners have difficulty with. Yes, even with the new electronic stabilization modes. A set of helicopter training gear for a mid sized helicopter purchased at a hobby shop can range from $25.00 to $40.00. This is still very reasonable considering how many rotor blades and other damage will be saved, but you can build your own for a fraction of that. 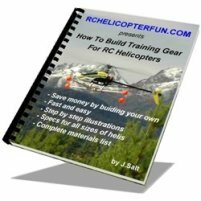 This "DIY How-To" eBook of mine takes you through the process of building a customized set of RC helicopter training gear for your heli. Sizing, materials, construction, tips and more - everything you need to make a set of gear as good or better than most commercially available sets. 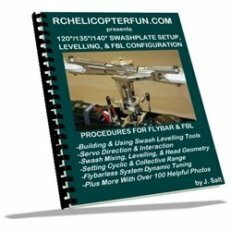 This book shows how to build training gear for RC helicopter sizes ranging from tiny micro coaxials, fixed & collective pitch up to big 800 electrics & 90 sized nitros. I'm not going to waste your time on an endless sales page promoting this "how to eBook". I show the table of contents, excerpts, and ordering information. You'll know best if the eBook has the information you are looking for. So Why Would You Want To Build Your Own Training Gear? Simple – building training gear for a RC helicopter is actually very easy and cost effective. You can save a good deal of money and have a little building fun at the same time. The materials for building a set of medium sized (30-50 size nitro) training gear can be purchased at any hardware store or even places like Wal-Mart. The cost of materials will be under $10.00 USD in most cases, less if you can find stuff on sale or have some of the materials already on hand. Compare that to a set from a hobby shop that will be in the $25.00 to $40.00 dollar range, I have even seen sets as high as $70.00. Before you go shopping for training gear materials, you must know what size of training gear you are going to be building; obviously this plays a fairly important roll in your shopping list. There are 3 main parts to the RC heli training gear. The two parts of the training gear that are size dependent on the helicopter are the sticks and center hub. The specific balls we are going to be using will work on any size heli from 400 electrics up to 90 size nitros. Back so soon? Guess it is time to get the list together and head out. Oops, I almost forgot to talk about the actual balls that go on the end of each stick. What are they, where do you get them from, and are they important. Some people ask me what the balls are for and can you omit them? Now, I should mention right off the bat, that unlike building training gear for larger RC helicopters which can save you a fair amount of money over store bought sets; building micro gear initially won't save you a dime and will usually end up costing more unless you already have the materials on hand. So why bother? Well, it turns out store bought micro sized gear is very limited in sizing right now and unless we are talking small mCX, mSR, or Nano type micros, it's actually very difficult to find the proper size gear for helis like the 120SR's, CX's, mCPx's, and 130X's; same goes for 200 to 300 size birds - very little in the way of commercially available training gear for those larger size micros & small helis. The whole idea behind building your own set of training gear was to save some cash plus have a customized sized set of gear for your heli. The other nice thing with this process is you now know how to build a set for whatever size helicopter you get or modify them to suit your own needs. Finally, if you break a home made set they are easy to repair or rebuild. Homemade or store bought, training gear can vibrate (sometimes quite harshly), if the right set of conditions are present. I'm not going to get into heavy "vibration analysis" here; but I do want to at least point out a few things to check and do to eliminate it if your training gear happens to vibrate. This RC helicopter "How To Build Training Gear" eBook is offered in PDF format. If you don't have a PDF reader you can download one from Adobe for free. There are also PDF Apps available for tablets and smart phones if that is how to wish to view the eBook. 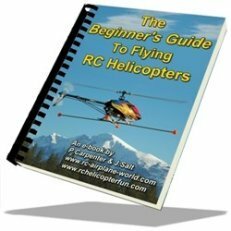 TO ORDER, simply click on the BUY NOW button below and be reading your own How To Build RC Helicopter Training Gear eBook in minutes. Safe & secure payment through PayPal. Instant download link sent directly to your email address. PDF format allowing printing if you wish. Friendly personal support should you need it. 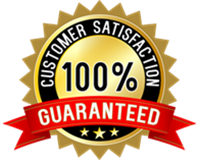 I back all my eBooks with a 30 day 100% no hassle money back guarantee. If for whatever reason you don't find the information in this eBook helpful and useful; simply contact me within 30 days from the purchase date and request a refund along with the original transaction or order number and a simple explanation of why you're requesting a refund. Please remember, this is an eBook and there are NO hard copies available. Have fun building and flying! Do You Have Further eBook Questions?